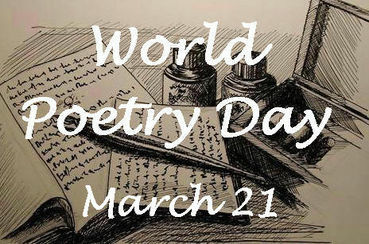 March 21 is recognized as World Poetry Day, as declared by the UNESCO (United Nations Educational, Scientific and Cultural Organization) in 1999. The purpose of this day is to encourage people throughout the world to promote poetry through reading, writing, teaching, and publishing. There are so many wonderful poets all over the world. Please share with us some of your favorites poets.